First up, the curries – extra hot Lamb Madras (full flavoured, Southern style curry cooked with mustard seeds, curry leaves, spring onions and coconut cream): the menu warned that there is a bit of heat to this dish. I had no doubts about it, lamb was soft and broke apart easily; spiciness yes, totally hit me like a “wrecking ball”. :s Also ordered a hot Chicken Tikka Masala (tossed through a thick smokey onion and tomato base sauce with roasted garam masala, ground kashmiri chilli, green peppers, tomato and onion). This was one of the recommended dishes. Indeed, it was finger licking good. Chicken was chunky but tender, great balance of spices and sweetness. 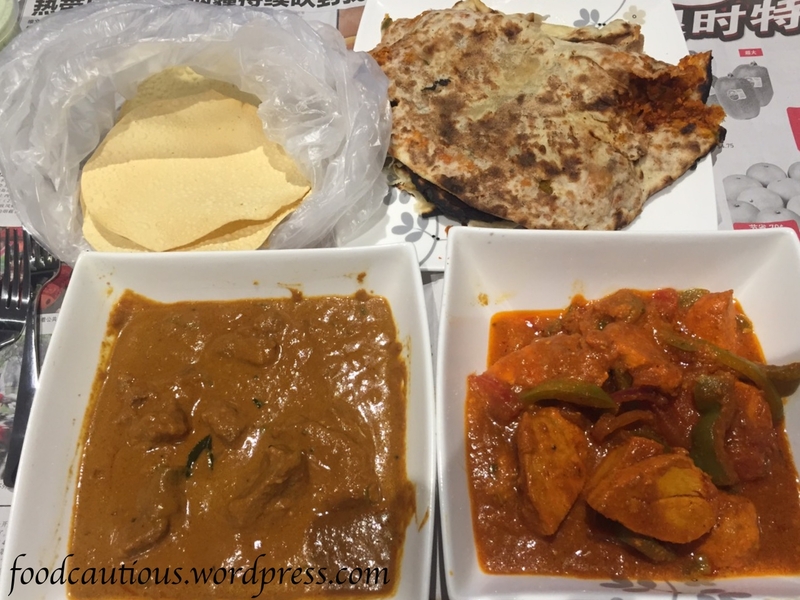 Not forgetting with curries, you got to order some Pappadums and Naan. I always love the Keema (spiced lamb mince) version. Getting down and dirty with the naan is a must! Tearing it bit by bit, dipping them into the curries, soaking up all the sauce – each mouthful was full of flavours. NOM! I will definitely order from 2 Fat Indians again or even make a trip down to East Melbourne for some indulgence. Thank you once again Menulog for this awesome experience.